Thesauri are controlled vocabularies whose concepts are connected through relations. They build a systematic representation of domains. They are polyhierarchies where a concept is related to its synonyms, broader or narrower concepts. In the linked data space thesauri are ideally organized according to the SKOS model. 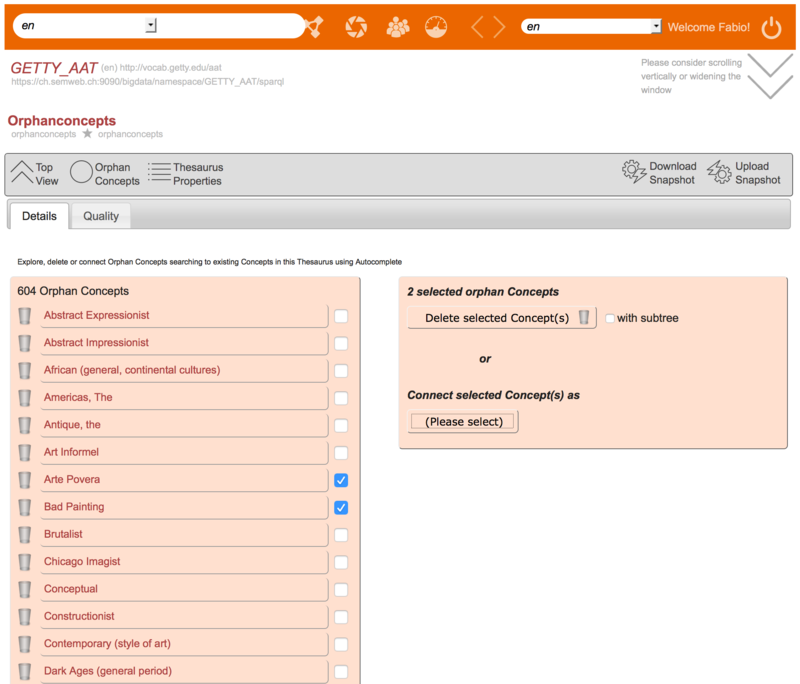 This allows for standard access / navigation to concepts and their interrelated concepts. Some examples of thesauri can be found in Eurovoc, Jurivoc, GETTY AAT, MEsH, and STW. 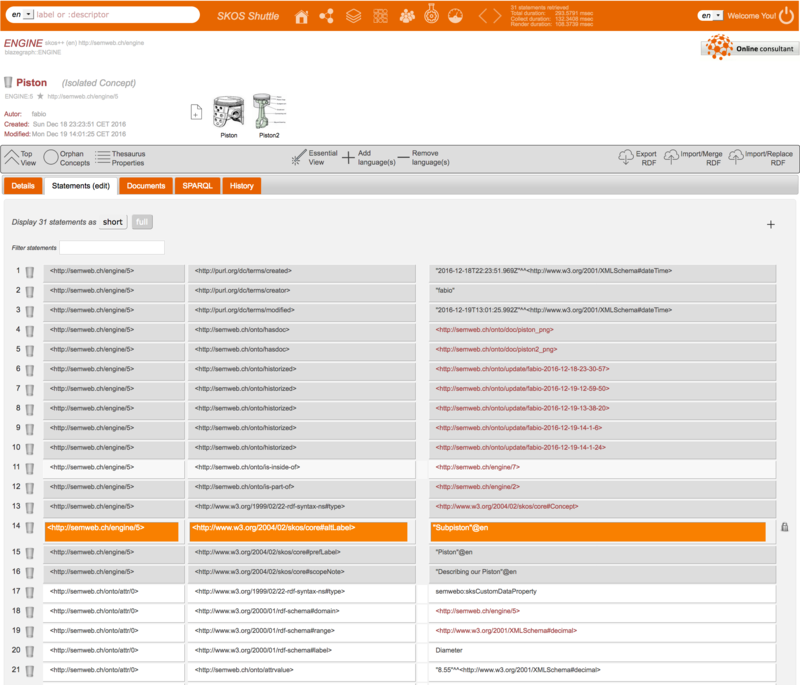 The use of thesauri in enterprises empowers concept maintenance and allows for fast and precise search processes. 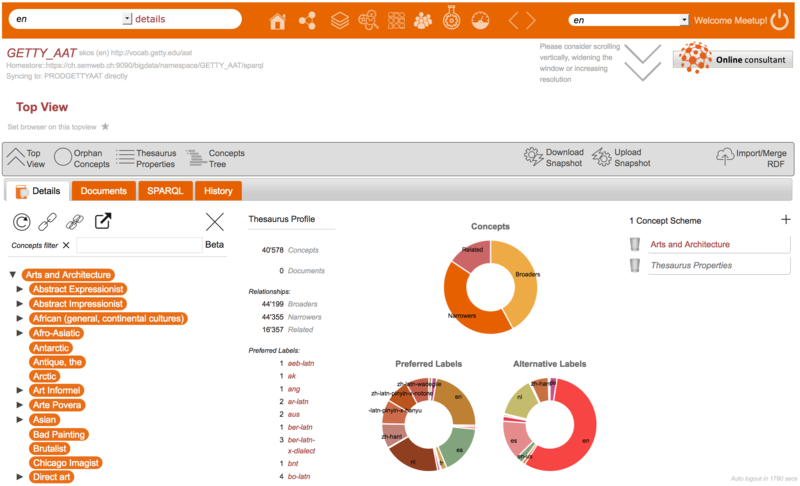 A further use of thesauri is in the corpus analysis, where - starting from a text corpus and a thesaurus - relevant information on term frequency, distribution and potentially new concepts for the same thesaurus are computed. Furthermore thesauri allow in linked data spaces the precise interlinking between key concepts of different external thesauri. 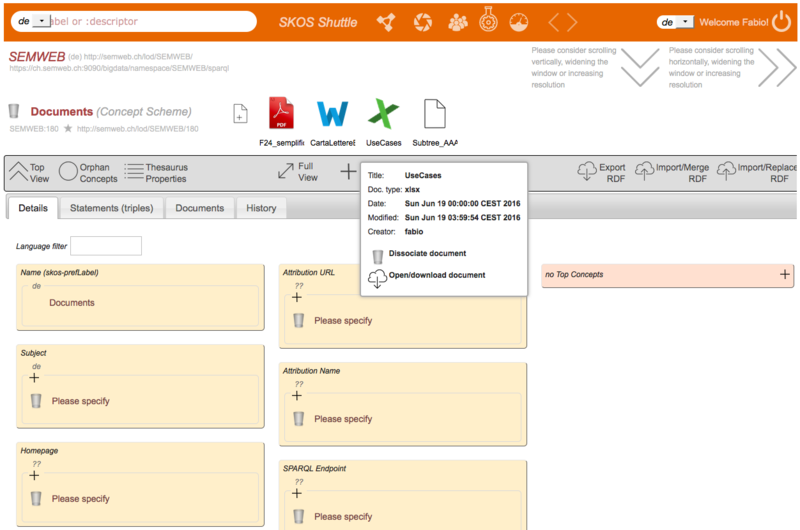 Please request a SKOS Shuttle (READ-ONLY) demo on big thesauri like GETTY-AAT, EUROVOC or MEsh and see the difference. SKOS Shuttle is a Blockchain secured service which enables you to work with (and combine) SKOS thesauri in remote and locally. Or request one via email! SKOS Shuttle is available 7 days a week. During 8pm - 12pm CE(S)T and at the Weekend or fairy days some short interruptions might occur due to maintenance works. 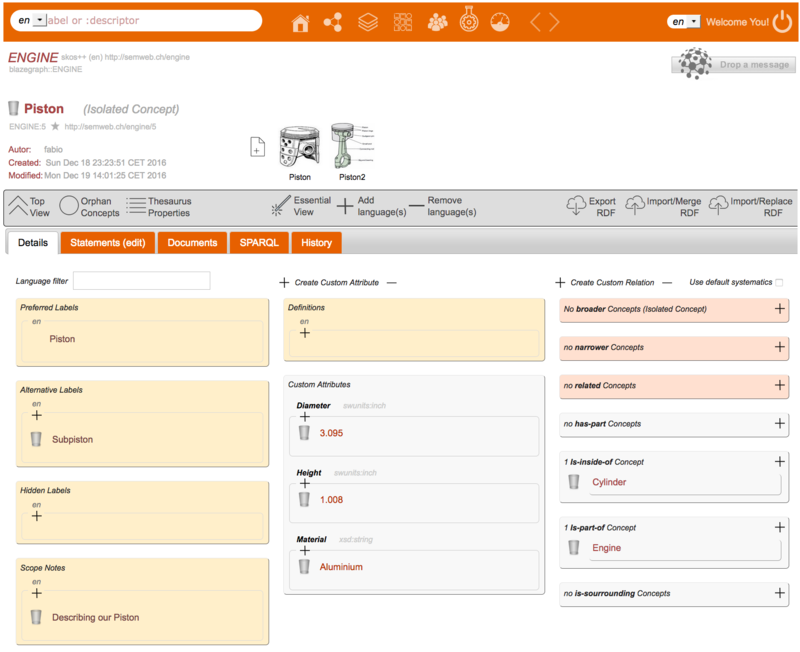 Need advice on thesauri / SPARQL / RDF ? 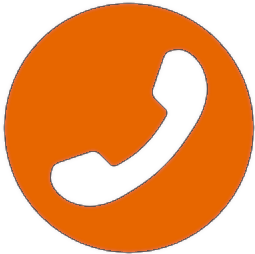 Write or call us - we are happy to provide you with quick support in remote or at your site. 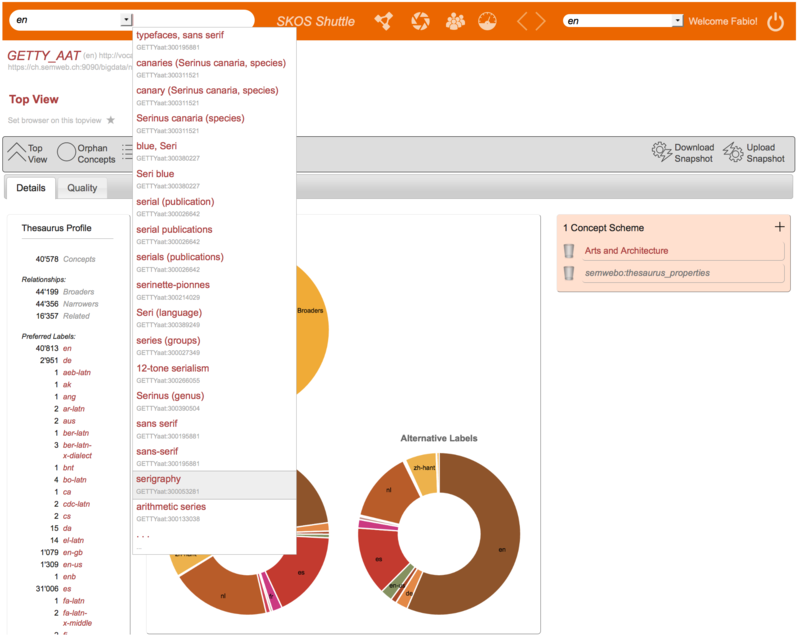 SKOS Shuttle is a multi-tenant / multi-user Thesaurus Management Service implemented in J2EE running on the latest Apache Tomcat. It uses proven methods for accessing SKOS thesauri via SPARQL queries. 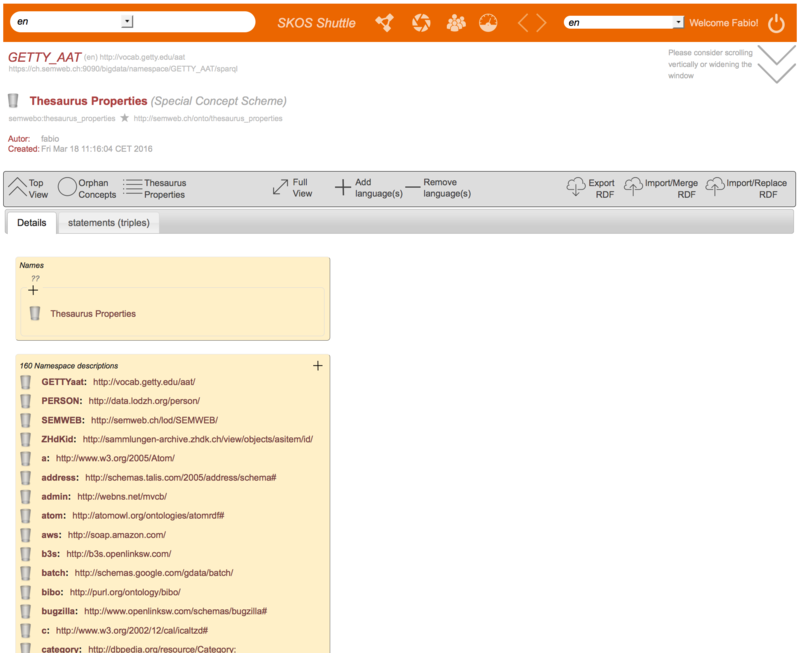 Thesaurus RDF data are imported into SKOS Shuttle and are physically hosted on the Semweb LLC own RDF platform and/or RDF repositories of your choice, integrated remotely via REST HTTP/SSL. 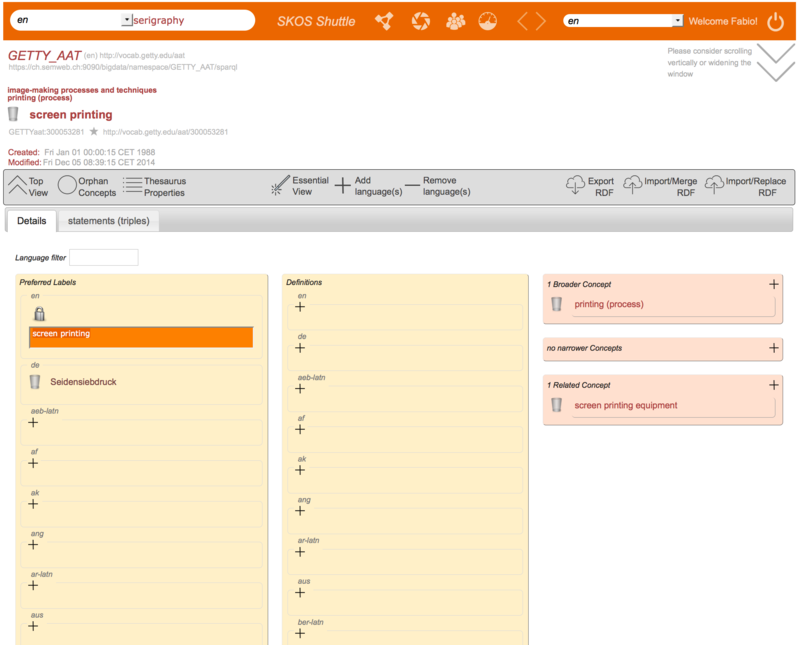 SKOS Shuttle allows you to build a smart search engine using its API to search and retrieve concept data to refine results. Purchase DOCKER Installation on site, including 3 years updates - Contact Semweb to get an offer. PS: We adhere to Netiquette!